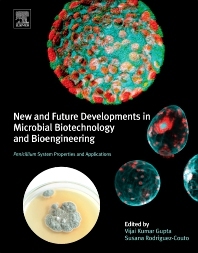 New and Future Developments in Microbial Biotechnology and Bioengineering: Penicillium System Properties and Applications covers important research work on the applications of penicillium from specialists from an international perspective. The book compiles advancements and ongoing processes in the penicillium system, along with updated information on the possibilities for future developments. All chapters are derived from current peer reviewed literature as accepted by the international scientific community. These important fungi were found to secrete a range of novel enzymes and other useful proteins, and are still being extensively studied and improved for specific use in the food, textile, pulp and paper, biocellulosic ethanol production and other industries. The book caters to the needs of researchers/academicians dealing with penicillium spp. related research and applications, outlining emerging issues on recent advancements made in the area of research and its applications in bioprocess technology, chemical engineering, molecular taxonomy, biofuels/bioenergy research and alternative fuel development. In addition, the book also describes the identification of useful compound combinations/enzyme cocktails and the fermentation conditions required to obtain them at an industrial scale. Finally, the book provides updated information on the best utilization of these fungi as a natural tool to meet the next challenges of biotechnology. 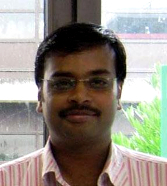 Dr Vijai G. Gupta is an Assistant Professor of Biotechnology at MITS University of India. Currently he is working as Research Scientist at National University of Ireland in Galway. Dr. Gupta’s present work is focused on the development and optimization of novel Enzyme-based bioconversion systems for biorefining and bioenergy. He has been honored with several awards, including the prestigious Indian ICAR Senior Research Fellowship and Indian Young Scientist Award. He has submitted 33 new fungal nucleotide sequences and deposited 147 fungal strains in International databases. His work with Fusarium spp., Colletotrichum gloeosporioides, Penicillium spp. and Trichoderma spp. is augmented by contributions to biotechnological development, molecular diversity, secondary metabolites and industrial applications Dr. Gupta is the editor-in-chief of the International Journal of Plant Pathology and a regional editorial board member of 8 other respected journals. He is the author of 40 journal articles and 27 book chapters. Gupta has also written and edited books and series from reputed publishers, including CRC Press, Taylor and Francis, USA; Springer, USA; Elsevier, USA; Nova Science Publisher, USA and LAP Lambert Academic Publishing, Germany. Department of Chemistry and Biotechnology, Tallinn University of Technology, Estonia. Prof. Dr. Susana Rodríguez-Couto graduated in Chemistry at the University of Santiago de Compostela in 1992 and obtained her doctorate in Chemistry in 1999 from the University of Vigo. He worked at the University of Santiago de Compostela as a research associate, at the University of Vigo as an associate professor and as an Isidro Parga Pondal senior researcher and at Rovira i Virgili University (Tarragona) as a Ramón y Cajal senior researcher. She has also worked as an invited researcher at the Institute from Environmental Technology, Graz University of Technology (Austria) and at the Department of Biological Engineering, University of Minho (Portugal). Since January 2009, she holds a permanent position as an Ikerbasque (Basque Foundation for Science) Research Professor at the Water & Health Division of Ceit-IK4 (Donostia-San Seabastian, Spain). Her main achievements are the development of methods for enzymatic complex production by cultivation of different white-rot fungi under solid-state fermentation conditions and the efficient application of these enzymatic complexes to the decomposition of xenobiotic compounds, the design of different solid-state bioreactors and the design of enzymatic bioreactors. Non-confidential results have led to more than 110 international papers in outstanding journals (h index 35), 76 communications at both national and international conferences, 14 chapters in books and 2 books. She is also editor and member of the editorial board of several international journals. Very Clearly written and highly applicable to fermentation biologist.